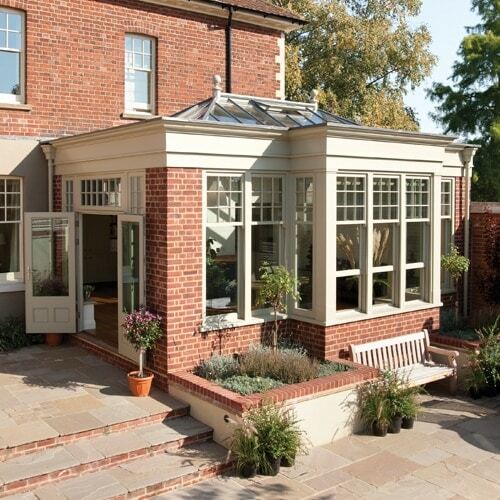 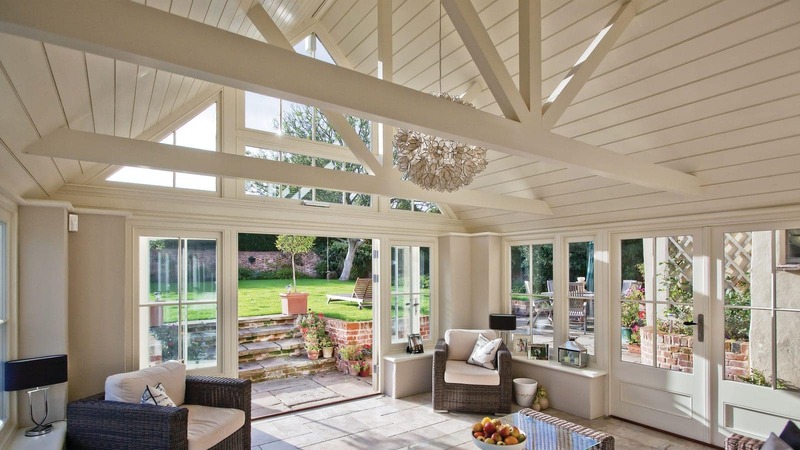 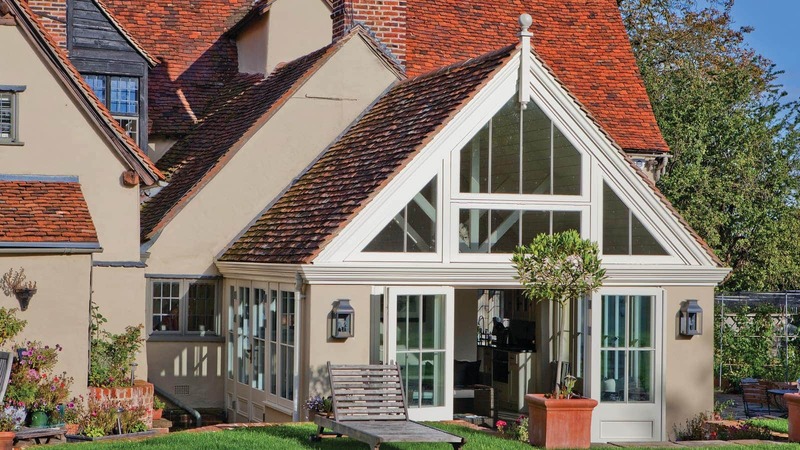 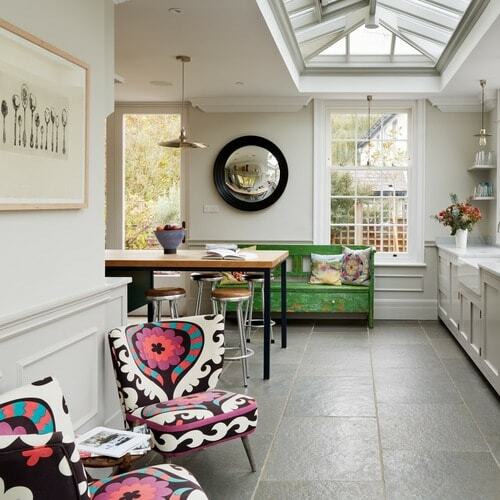 The large glazed gable enables light to fill the room, illuminating the white boarded ceiling and trusses, and adding to the original beauty of the old timber-framed house. 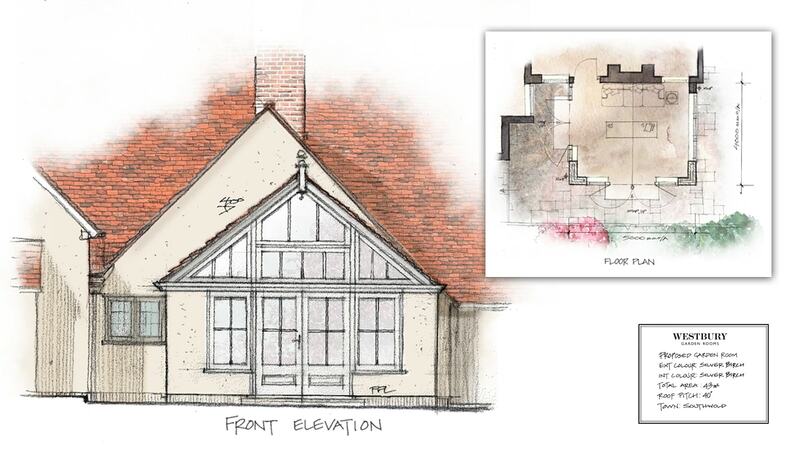 This striking example shows how the care and consideration of our architectural designers can enhance and improve the existing building. 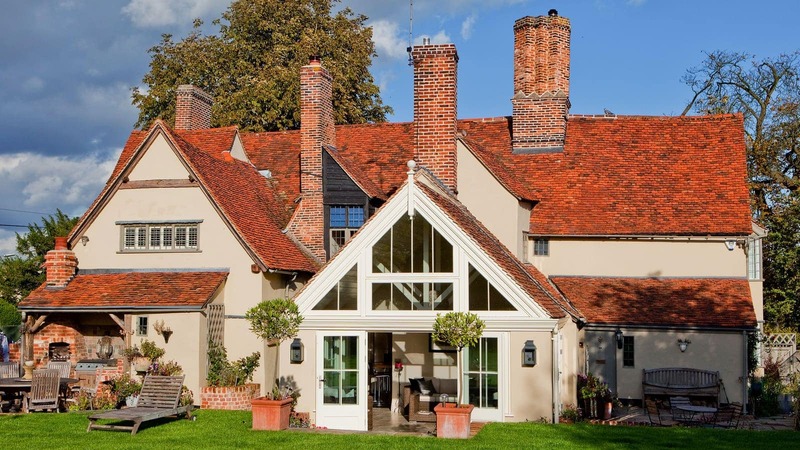 After consultation with the Listed Building Officer we suggested the best way to build onto this beautiful Suffolk house was to add another tiled roof, thus complementing the existing composition of roofs.